This is only loosely related to yyrGames, but was previously posted in the "Other Gaming Discussion" section of the yyrGames forums. This was originally posted to the yyrGames forums on Sep 24, 2017 at 5:14 pm. After submitting this story to several Web sites with no success, I've decided to just post it here. Virtually no one will ever see it, but at least my work won't go to waste! In just a few short days, 3,404 games will be delisted from Xbox Live, all at once. Yes, the entire catalog of Xbox Live Indie Games will disappear forever. A lot of effort went into XBLIG, over the course of almost 8 years. Sure, its high level of accessibility led to a bad reputation. But folks willing to look past the modified starter kits and numerous massage apps found a lot of quality, innovative, and fun ways to spend their time, for just a little bit of money. Many will agree that this the true legacy of XBLIG, and looking at its final releases can back that theory up. The last 11 releases form a pretty good cross-section of what XBLIG was all about. You've got arcade-style action, adventure, and even a multiplayer RPG. You've got pixels, polygons, and voxels. There are retro throwbacks, modern thrills, and unique mashups. You've got games for single players, local foursomes, and online groups, developed by whole teams, one-man teams, and brother-sister teams. And of course--after all, this *is* XBLIG--you've got avatars. And zombies. Lots of zombies. 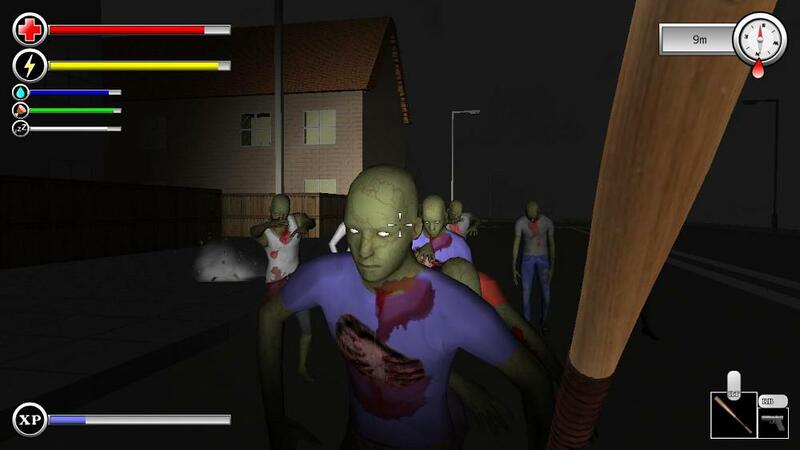 Dizeaze is one of XBLIG's many first-person zombie survival games. As in other games of this type, the game challenges you to scavenge, craft, and fight to survive. But unlike some others, this game can be played in co-op with up to 7 other players, over either a LAN or Xbox Live. The first thing I noticed about Dizeaze is that the randomly-generated world you're dropped into is HUGE. As in, almost unfathomably huge. Bringing up the map screen and taking a look, I actually felt pretty terrified. And that was even before the zombies started spawning, pulling themselves up from out of the ground. In one of two gametypes, your goal is to bring plans for a cure to the lab that can synthesize it. The question is whether you'll be able to find the lab before you're overcome. The other gametype is your familiar "last as long as possible." Like many XBLIG, Dizeaze was created by just a single person in their spare time. "I basically wanted to create a game that used everything I had learnt over the years developing for XBLIG," says developer Zac Wootton, who hails from the UK. "Without XBLIG I don't think I would have ever learnt to program. Creating games while learning is a great experience." At first, this game just appears to be a 2D scrolling action game set in various alien-infested space stations. But then you'll notice that defeated aliens drop better weapons, armor, and special abilities, and that's when the obsession begins. 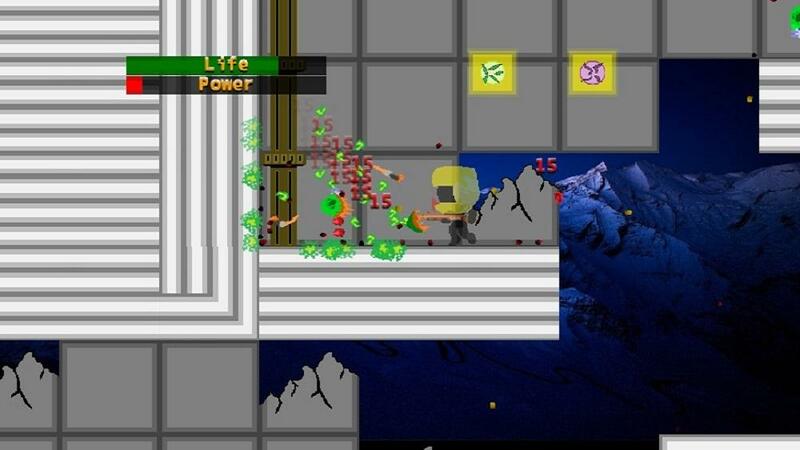 You'll proceed through various planets, battling stronger aliens and finding better loot. Daily quests and a Prestige Mode keep the game interesting, but even better, you can play cooperatively with up to 4 players over Xbox Live. This was the final XBLIG by solo developer Chris Antoni, who released a whopping 22 titles! Interestingly, he began creating XBLIG in 2014, after its popularity had already peaked. "XBLIG provided a quick and easy way to create games for a novice developer like myself," he began. "I used to run popular blogs about video games and decided to try my luck at creating one. XBLIG was where I turned, and even though it was well on its way to dying at that point, I still found a great community of developers and gamers alike," he explained. He even created YouTube journals as he developed his games, so he could interact with buyers and implement their feedback. When asked what XBLIG meant to him, he said, "everything," and he expressed that he could not have been happier to release one "last hurrah" on the service. "I'm currently releasing games on Steam, but I will take what I learned from XBLIG with me forever." 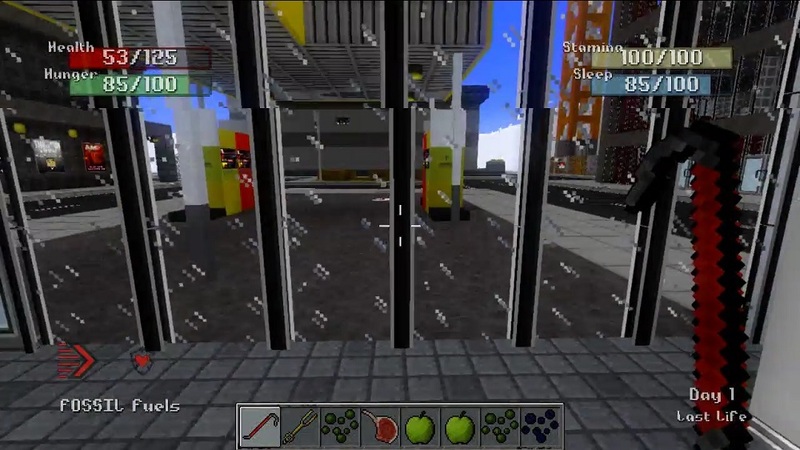 The Minecraft-esque graphics may have you thinking that this is yet another sandbox game. But Death Quota R is actually a first-person shooter! The game features a campaign mode that can be played either solo or in split-screen co-op. You are tasked with accomplishing a series of missions against an army of evil robots, who will come at you from both the air and the ground. You'll deal with them using a variety of weapons. Once you're done with the campaign, you'll be able to battle against other players over Xbox Live in head-to-head matches for up to 6 players. There isn't a whole lot more to describe about this game, other than that its action is very intense. Try it! Straight from Japan, this game is a short but thoroughly intense shooting experience. 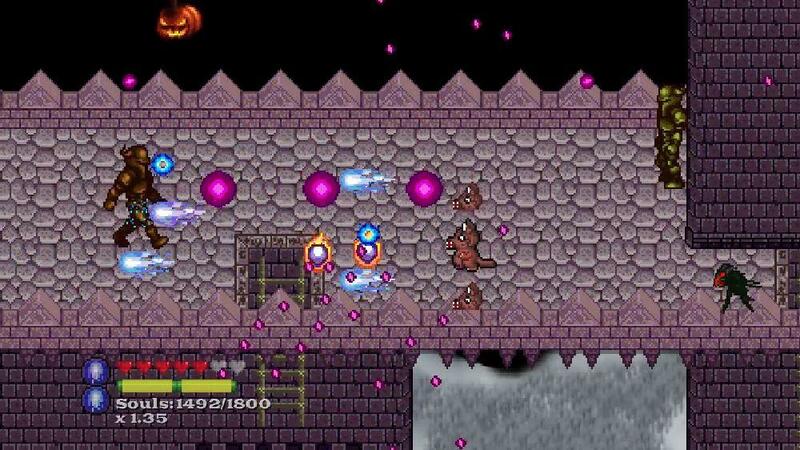 It takes place across ten single-screen stages, and the difficulty increases pretty quickly, but there's also a unique twist: when your "esper" gauge is fully charged, you can stop time for a brief period, during which you can actually move your bullet-spouting enemies around using the thumbsticks. This allows you to make things easier on yourself, or even to force your enemies to attack each other. It's also possible to simply ignore strategy and shoot your way through...well, as long as you can dodge like a robot with perfect precision and reflexes. Oh, and the music's pretty good, too. Many fans agree that shoot 'em ups just feel natural to play on a console. XBLIG enabled folks around the world to put together intense experiences like this--even by themselves--and actually release them on a console, at a trivial cost. The creator didn't speak English, but the language of an intense game like this is easy to understand, and their passion was clearly on display, from the opening screen to their declaration of "XNA Forever!" at the end. XB1's low popularity in Japan means that we might never see this sort of thing on consoles again. Snake Party is a good example of a niche game that might not exist on a platform requiring a higher financial commitment. After all, in 2017, why would someone pay for Snake? The answer comes in the form of a 4-player Battle Mode featuring more options than one would ever expect. 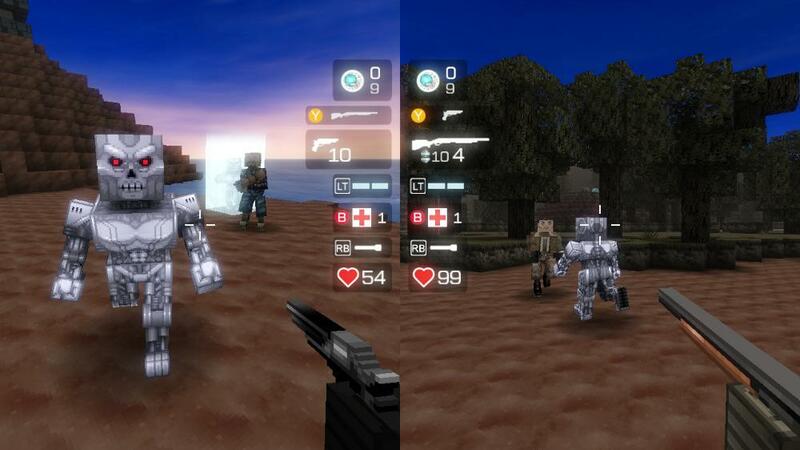 It also features multiple single-player skill-testing modes. One of Battle Mode's compelling features is a modifier called Suffocation. In normal Snake, touching anything kills the player. But with Suffocation, players simply stop moving when they hit something, and are eliminated only if they're trapped there for 3 seconds. This one change transforms the game from a test of reflexes into a strategic and cutthroat challenge. You can combine this with other options, like random speed changes and levels with teleporters, for an accessible yet uniquely ridiculous multiplayer experience. Unfortunately, it's a strictly offline affair, but if you often have gatherings at your home, it may well be worth the asking price. 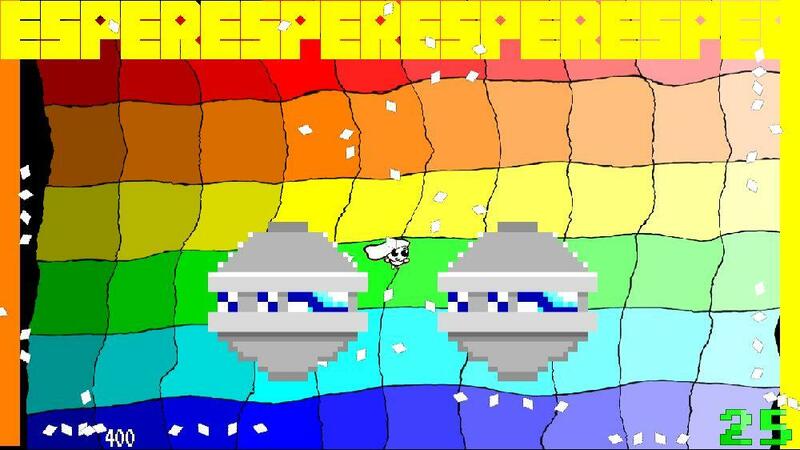 This is creator Aaron Teplitsky's eighth and final release on XBLIG, a platform he believed was revolutionary. "To allow just about anybody to develop a publicly-available console game was unheard of in 2008," he said. "This changed everything, and really shined the spotlight on small developers." He also appreciated the low financial risk. "I only develop arcade-style games. The mainstream has moved on from these sorts of games, so choosing to produce them can mean taking on a significant financial risk. I'm truly grateful to have had the chance to develop and release my games on XBLIG with ease." When Avatars were first made available to developers in XBLIG, we quickly saw many simple games featuring them as a selling point. But some devs took their time to make their projects a bit more ambitious. Finally, we have something even more ambitious than that: Avatar Eras Online, a full-on multiplayer RPG! You'll find chat features, NPCs with scripted dialogue, a crafting system, a large world to explore, a wealth of items to find, trading, pets, and a heck of a lot more. But maybe you're worried that there aren't going to be too many other players. Well, don't worry, as you can experience the game entirely offline if you wish. You can even grab a network switch, link some consoles together, and play with your friends that way. 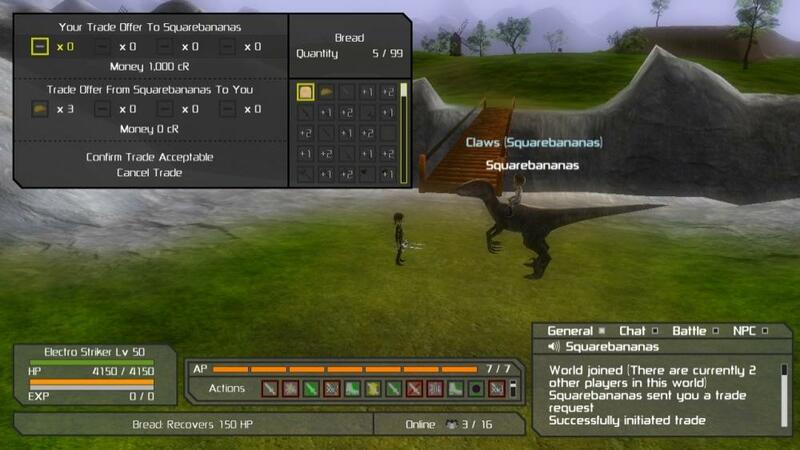 Avatar Eras Online was developed over the course of 3 years. Developer "SquareBananas" says he spent several thousands of hours working on it, and it shows. It truly looks and plays like something designed and developed by a team, and yet, it was created with just two hands. He would have loved to release it closer to the height of XBLIG's popularity, but the reality--one that many indie developers, on any platform, quickly realize--is that game development takes a very, very long time (and that developing games of this nature takes even longer than that). Despite the long wait, Avatar Eras Online is now available, and promises many, many hours of fun for an extremely modest price. Fans of multiplayer RPGs should certainly try it before it disappears! If an action-adventure game featuring the bullet-dodging elements of modern shoot 'em ups sounds like fun to you, you are very likely to enjoy Chasing Styx. Sporting seven large worlds and a metric ton of shooting action, this game pits you against hordes of evil creatures in an effort to rescue cute bunnies. The control scheme seems unconventional at first but can click fairly quickly, and once it does, you'll be laser-focused on dodging through clouds of bullets as you attack pesky enemies and giant bosses. If you're expecting something linear, though, think again. You'll have to wander off the beaten path to find chests containing hidden items. These items are the key to powerups, extra health, and other benefits that you can unlock between levels. Chasing Styx features several hours of great action, a good level of challenge, lovely graphics that may remind you of SNES games, adjustable difficulty, and a wonderful electronic/chiptune soundtrack. But one of its best features is its 2-player co-op mode. "Some of my fondest gaming memories involve couch co-op with friends...working together and trying to stay alive while hooting and hollering side by side on the couch," explained James, the one-man developer. "Chasing Styx was developed to try to capture the type of cooperative play found in titles like Jackal, Contra, and Pocky & Rocky," he continued. James had no shortage of praise for XBLIG. "XBLIG was the first console distribution model that was both accessible and transparent – anyone could distribute on the platform and all of the requirements were readily available for the whole world to see," he said. "XBLIG got a ton of people into game development, myself included, and I’m very thankful that Microsoft gave us the opportunity." 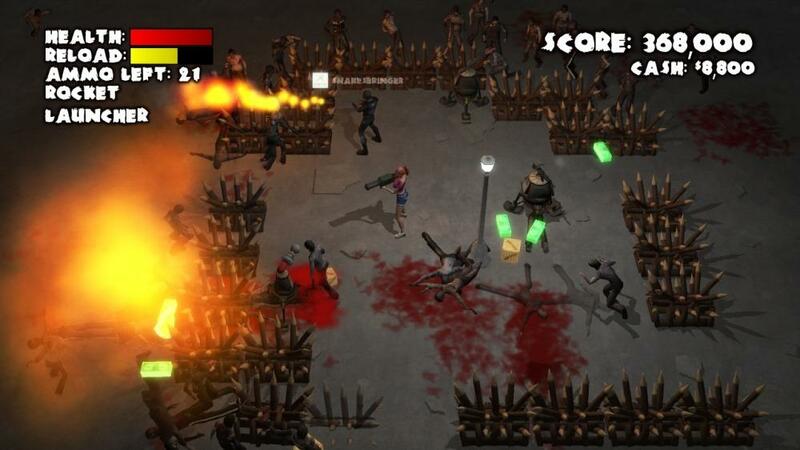 Part tower-defense, part action-packed shooting game, this game asks how long you can survive a zombie onslaught. Killing zombies at night earns you cash. After the sun rises, you can then spend the cash on barricades, turrets, and a wide variety of fun weapons. You've got your traditional pistol, shotgun and uzi, but also grenades, mines, and even more exotic things like lasers. You have unlimited time during the day to construct your defenses, but once you choose to bring on nightfall, you'll be swarmed by groups of undead within moments. During their attacks, however, you're free to run around and fight back. They'll even drop ammo and power-ups, such as invincibility, if you're lucky. You can even team up with a friend over Xbox Live, and try to survive together. But don't get too confident, or your game could be over within seconds. The graphics are simple but attractive, and the weapons come with satisfying booms and bangs. The music fits the situation well. You can even play as your avatar, if you want. If this sort of game sounds fun to you, you'll certainly get your money's worth. This game is the result of almost two years of work from a team of devoted developers, and it shows. Using a 3D block-based presentation ala Minecraft, you must survive as long as possible in a semi-randomly generated city. The game is designed specifically as a co-op, multiplayer experience, and can be played either over a LAN or Xbox Live (a splitscreen feature is not included). The variety of items and weapons that can be found is staggering. Every structure that you see can be entered and fully explored, from simple mini-marts to high-rise office buildings. You will need to find food for when you get hungry, and you'll need to sleep when you're tired...unless you don't want to be bothered by those things, in which case you can turn them off. And while you are certainly a target for zombies, there are plenty of other ways to meet your end, including falls, fires, or simply starving to death. While each randomly-generated city will have similar structures, the layouts are entirely different, so the experience will change every time you play. It all looks good and controls well. This game demands teamwork, ingenuity, and bravery, but if you have those things, and a group of friends who still have Xbox 360s hooked up, then there is a lot to love here. Considering what you're getting, the asking price for this game is ridiculously low! Now this is a perfect example of something that would never have any kind of exposure if not for Xbox Live Indie Games. It's unlikely that it would have passed Steam Greenlight. It would certainly be swallowed up, unnoticed, in a crowded mobile market. But people around the world can now enjoy this unique experience on an actual, retail game console. Designed by a little sister and developed by a big brother over the course of 8 years, this game follows Caroline as she attempts to be one of the C.O.O.L. girls. This can be achieved by coming late to school, spitting on random students, sabotaging the school play, and even shoplifting. Oh, and don't forget to choose the best makeup possible. You will see one of several endings based on just how cool you turn out to be. Try not to wind up in jail! This game will never win any awards for its graphics, its gameplay, its voiceovers, or any of its content, really. But it is most definitely a product of passion, and one made specifically for this platform. If not for Microsoft's bold decision to open up the Xbox 360 marketplace to creators around the world, this sort of thing would never have seen the light of day. But here it is. Multiple technical issues plagued the final year of XBLIG. It seemed like it was held together with duct tape. Just one brave individual was checking the XBLIG support e-mail account. Some support requests were missed or delayed. One developer's issue--and the delay in its resolution--prevented them from finishing their last game until after the final submission deadline. An exception was made, however, and the final XBLIG ever is the result. 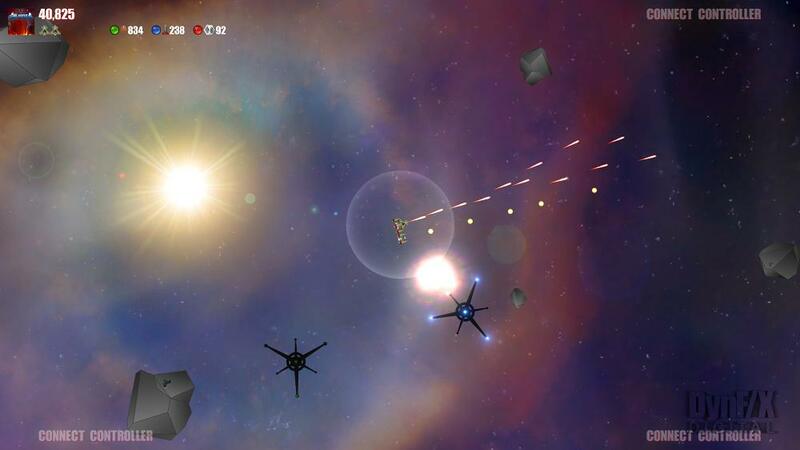 Solaroids: Prologue initially appears to be a modern take on the classic Asteroids. 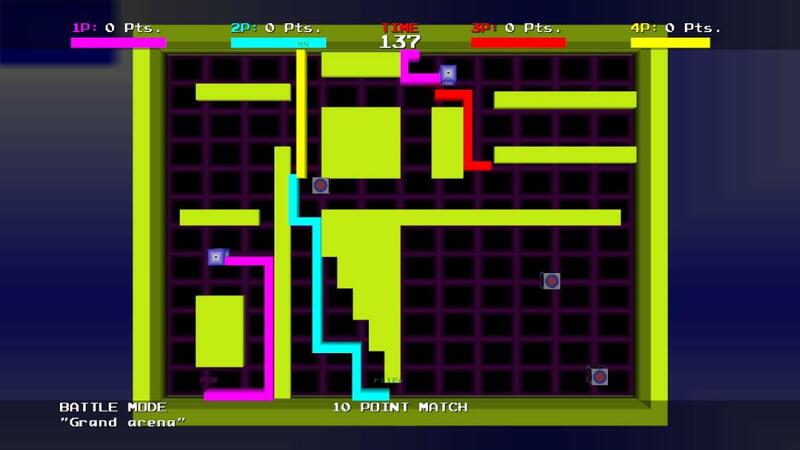 It features nice HD graphics, great music, and 4-player, split-screen, drop-in/drop-out multiplayer. But in contrast to the modern look and sound, the controls are a throwback to the original Asteroids, utilizing Thrust and Fire buttons rather than something more new-fangled. The creator clearly intended to create a mashup of old and new elements, as it also features powerups and bosses. There are even some quirky features, such as an item that serves no purpose except to change the background music. The action starts simple and takes quite awhile to intensify, but this does give you a chance to get used to the controls. It is certainly not a game that will appeal to everyone. But that just gives it a lot in common with other XBLIG. With over 3,400 choices, there is literally something for everybody...and perhaps, a game you've always wanted to play is among them! The fastest way to try out these games is to dust off and power on your Xbox 360, sign in to Xbox Live, then go to Games > Browse Games > Indie > New Releases. As with all other Xbox Live Indie Games released, these can be played for free in an 8-minute Trial Mode. Simply choose to download the free trial, either on the Xbox Marketplace Web site or on your Xbox 360 itself. If you like what you see, you can buy the full versions from within the trials. All 3,404 Xbox Live Indie Games will remain on sale through October 7th, 2017, after which they will be removed from Marketplace and will no longer be purchasable. Just as with other delisted games, however, you will continue to be able to re-download previously purchased XBLIG after that date, using the Download History option on your Xbox 360. The upcoming delisting presents strong evidence that there are no plans to make these games backwards compatible on Xbox One. However, Microsoft did previously announce that they may have some sort of preservation plans in mind. If they follow through, details should hopefully emerge sometime soon. It's worth mentioning that the new Xbox Live Creators Program has just recently launched for Xbox One. While there's no guarantee that XBLIG titles will be ported to the new system by their authors, it is certainly possible that you will see new versions of some old favorites, as well as brand-new, exclusive and original content from a new generation of indie developers. Lastly, if you want to learn about other available Xbox Live Indie Games, two particular sites are definitely worth visiting: http://thexblig.com, and http://indiegamerchick.com. Each has reviewed many hundreds of Xbox Live Indie Games. They are great places to find some gems you may have missed. Please continue to enjoy Xbox Live Indie Games! The creators worked hard to bring them to you.